TOLEDO, Ohio, JUNE 26, 2009-SSOE Group took a significant step forward when the EPCM firm was awarded its Chinese design license from the Chinese government. The license allows SSOEto directly perform architectural and engineering detailed design services for its clients within China. Until the license was issued, SSOE was required to direct all of its architectural and engineering design efforts through one of the Chinese design institutes. “We’re ecstatic to have this design license because it allows us to work more extensively for companies with major projects in China,” said Bob Howell, Executive Vice President and Chairman of the Board at SSOE. Howell also oversees the direction of SSOE’s China office, located in Shanghai. SSOE China’s General Manager, Andrew Kwok attributed the award of the license, in part, to strategic efforts aimed at growing the reputation of SSOE’s Shanghai office. “The design license, which requires meeting a number of stringent Chinese statutory requirements, is a culmination of SSOE’s established reputation for successfully meeting the needs of our clients in China,” Kwok said. 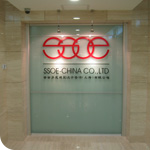 The Shanghai office, SSOE Group China , opened in January, 2005. Currently, it is the second largest office in SSOE’s operations, with 106 employees. According to Kwok, between 40 and 50 more people are projected to be added to the office by 2010. Prior to the licensure, SSOE Chinawas managing 60 to 80 people operating in China’s design institutes. The new employees will work directly for SSOE.